Me floating off of Cherry Cove, Catalina Island. Testing out the Utterz video service and talking about how cool it is to have an Internet Business. Let me know how this comes out. I’d love to hear from you! 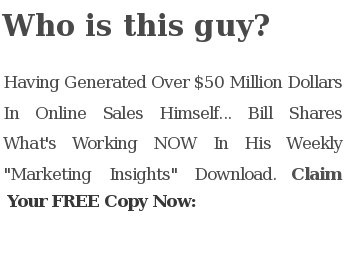 Head over to http://www.billmcintosh.com/ and comment to let me know. Mobile post sent by billmcintosh using Utterz. Replies. This entry was posted in Blogging by Bill McIntosh. Bookmark the permalink. do you know of an online video or website that could help me figure this out? I would love to utilize this tool the best I can! Love your blog it looks nice! keep up the great posts and work! So here goes, the quality of the video wasn´t all that great but at least I was able to see you… I guess its because of the laptop video camera quality, and the sound was actually not that bad, considering that you were on a boat at times with some pretty strong gusts of wind, right? (one could hear it at certain times…) anyways, all in all, it was allright, BUT the MAJOR Question here is why in this World would you want to be trying your video out with “Utterz”? Are they paying for it? Why not continue in “YouTube”? There are most definitely way more viewers in “YouTube” as in “Utterz” don´t you think so? And “YouTube” has a Pagerank: 9, while “Utterz” has only a Pagerank:6 ? Why? Wait a minute though, I know that you being an Internet Marketing Expert with much more Knowledge and Experience than I have would know much better, BUT I just don´t get it… Or does it have something to do with the Negative and Skeptical Remarks in your “YouTube” Video? So you need to place your videos back on YouTube and fight those other “Ignorant Dogs” because that is where the Public is… WORLD-WIDE…and by the way, “YouTube” is not only owned by “Google” who practically owns the Online Information and Video Streaming Industry, but they also work with “MySpace”-Pagerank:9…. At 42 y.o., I consider myself as a pretty knowledgeable Internet Marketer and SEO specialist that has gone from a longtime Hobbyist to a FULL-TIME Career with it in the last 6 months or so… but I am ALWAYS willing to Learn More, and nothing better as getting TOP Info from the TOP Experts! Hope to hear from you soon and of course, I expect to see some more of your Videos with some important tips and tricks from the Biz! Especially over Adsense, Websites and Autoresponders! Unbelievable, I was still shocked over the utterz phone call you did, but this now…jeez what can I say? So I guess that means I can hang out with my kids at the park and still keep an eye on my site. How cool is that! I was actually in Lake Arrowhead when I got your tweet of this post on my phone. From Catalina Island to Lake Arrowhead via the air…pretty neat.